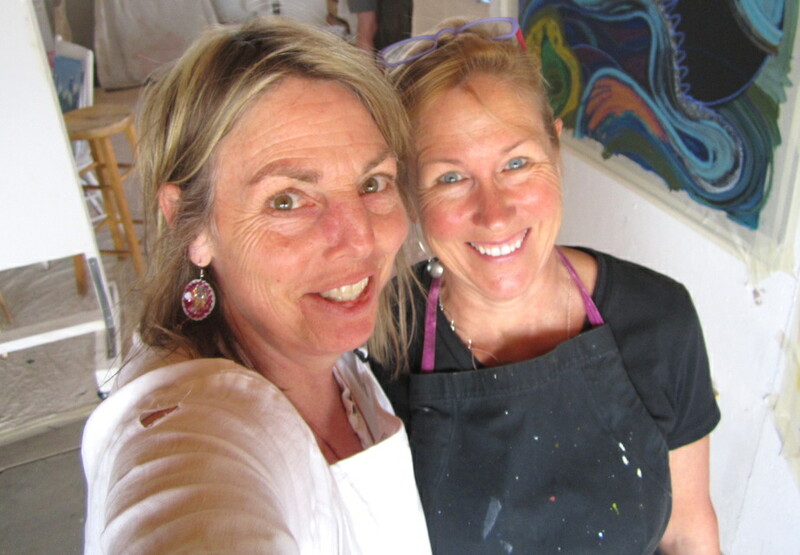 Santa Fe Studio Visits - Paint Big, LIve Big! A highly individualized program to get you “lift-off” in your own studio. I’m in the creative breakthrough business, sometimes just a little bit of help from the right person at the right time brings you the breakthrough you’ve been asking for. We meet together in your studio two different times for 2 hours each. Deal with your inner critic/saboteur so you won’t be taken over by it. Come up with intentions between your first and second studio visits that are doable—you don’t have to paint the Mona Lisa! 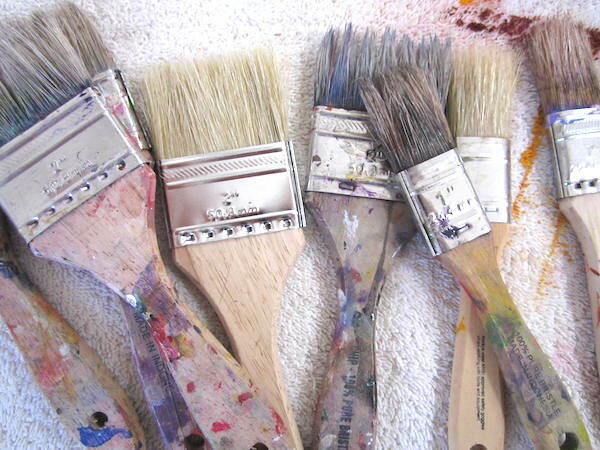 The second visit we can spend with you painting or talking about what did or didn’t happen. This is not a high pressure gig. These visits are infused with kindness, forgiveness and fun. Maybe it’s been years since you’ve had a painting life on your own but you’re ready now. Maybe you’ve only painted at workshops and really want to bring that inspiration home. Any which way, if you’re ready to kindle your at home painting life, and you’d love to have my undivided attention on you and your very personal relationship to painting– this program is for you! There is no one in the world quite like you, and your creative process will reflect that. Is this you? Deep down you’re ready to paint at home. Somehow you just can’t get started. And so this is what I did–went to her studio and sat with her as she began her first painting–actually it was her first two paintings. In conversation we decided it would free her up to start with two! Two weeks later I arrived for my second visit and she was thrilled and eager to share with me what had transpired. She was on a roll. We talked about where she was in the paintings and what she wanted to be able to try next. She was “in” her creative process now. Recently I went back to her studio as she signed up for another two studio visits and I saw her painting life in full bloom. Her questions were different: She was interested in shifting the way her inner critic was affecting her. So we worked on that in our time together, in front of her paintings, mid process. After hoping for an active home painting life for many years, now she has it. This proces works! 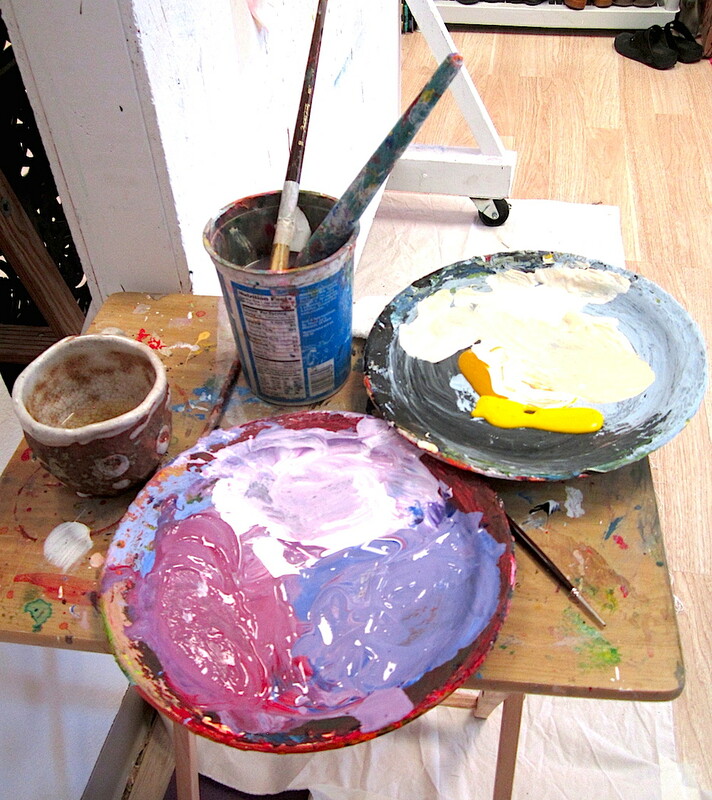 Your studio can be a room made up to paint in, nothing fancy required. Garages work. But this IS important. We need your studio space to be private and our time together uninterrupted, no multi-tasking, phone calls, you get the idea. You live in Santa Fe or between El Rito (where I live) and Santa Fe. If you don’t live here locally and would like my mentorship, check out my Coaching for Artists program–we can work virtually that way. What does it cost? $500 includes two two hour visits and a 20 minute initial consultation phone call if desired. You have 3 months in which to receive your two visits. I usually visit studios on Tuesdays, Thursdays or Saturdays. Special arrangements can be made. Contact Julie first if you have scheduling question.